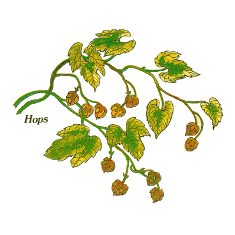 The english name 'hop' comes from the anglo-saxon 'hoppan' meaning, to climb. They were cultivated in parts of Europe from as early as the 8th century but started being used in beer making in the 11th. In England hops were only used in beer making from around 1600.